As I mentioned yesterday, a system which reduces resistance to zero is a real game-changer. 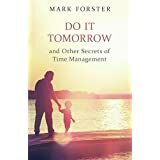 So many of the concerns about time management vanish when you can simply do stuff. You don’t need to worry about the number of things you have to do, you don’t get backlogs building up, and you are not doing anything just as a way of avoiding something else. It’s not just that you do the work faster. The work itself gets faster. Routines build up faster. Weeding gets faster. Follow up gets faster. Records are better kept. Problems get sorted quicker. Everything is up to date. You can find things faster. And above all knowing you are completely on top of your work gives you tremendous energy. I’ve been working on this system for months now trying to get it exactly right. As always when I finally arrive, the answer is very simple. Getting high speed and high volume is largely a matter of reducing resistance to as close to zero as it’s possible to get, plus having a scanning system which doesn’t get in the way. Once that’s been achieved everything else becomes much easier - because if you’re going to do everything and do it fast the concerns about urgent items, backlogs, unstarted projects, length of the list, etc, just fall away. You also of course get enormous energy just by the fact that you are on top of things. Since I left off writing my previous post three days ago, I have been ceaselessly experimenting with the issues raised there. “Standing out for No” tends to become less effective with time, while “Standing out for Yes” becomes more effective with time. I’m referring to one’s mental receptivity to the results here. A system based on “Standing out for No” has a major disadvantage compared with “Standing out for Yes”. This is that it is far less sensitive to timing, mood, readiness, alertness, etc. And arising out of those two conclusions, there is one further conclusion. Simple Scanning is best done the way I’ve done it up to now. I’ll be exploring the implications of this in future posts in the Thoughts on the Long List series. Thoughts on the Long List - A Better Way? There is an interesting discussion ongoing on the forum. The question has been raised whether “standing out” is the best way to process a list. The essence of “standing out” is that tasks you want to do will stand out from the list. You therefore proceed from one task you want to do to the next one you want to do. The trouble with this is that many people find that they never want to do certain tasks - which may be the very ones that they most need to do. They are therefore in danger of endlessly processing trivial easy tasks without ever getting to what really matters. What is therefore being suggested is the opposite of this. 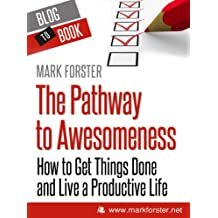 Instead of looking for the tasks that we do want to do and ignoring the rest, we should do every task except the ones that stand out as ones we don’t want to do. This is similar to the well-known technique for choosing between two alternatives - toss a coin and stick to the result unless you get a strong adverse feeling. That way you’ve cut through all the stuff going backwards and forwards through your mind and discovered which of the two alternatives you really want. You can throw everything at the list as it occurs to you and leave the sorting, prioritizing (and whether you want to do it at all) to work itself out as you go along. It will show you clearly whether a projected project or action is a goer. If it ends up on an isolated page surrounded by tasks which have been crossed out, you can be pretty sure it’s not. Tasks and projects will find their own level - a sort of “survival of the fittest”. Because you can put anything you like on the list, it opens the world up to you. Thinking you might want to do something quite extraordinary? Just put it on your list and see what happens. Every task you are thinking of doing has to be written down, put on the list and subjected to the selection procedure. This is a very effective way of avoiding impulsive activity. Having multiple alternative actions on your list prevents your getting blocked. Because selecting from the list is intuitive, the work you do is in the flow. Once it’s on the list it’s not work because you’re either not doing it or you’re enjoying doing it. If you’re in the flow, you do work to a higher standard. The repetitive effect of re-entering tasks contributes to the building of good routines, and also assists you in extended study, reading, practice, drafting, etc. This is a very deep rooted attitude and with good reason. Just about everyone has had the experience of the pressure lifting at work and, instead of using the quiet period to get completely up to date, they have just idled the time away until the pressure returns. So the net result is that they still have the existing overwhelm, but with a good extra dose of added guilt. The prevailing attitude to work is that you can only get it done by will power and that you have to force yourself to do the difficult stuff. In fact many people need the pressure of an impending deadline to get moving at all. As for to-do lists, they are a continual reminder of how much you still have to do, and what you still have to do seems only to get bigger and bigger. Eventually you develop resistance to the whole list and are in danger of suffering from complete paralysis. What if I told you that this attitude to work is completely back to front? And just to clarify, when I say everything is easy I am not referring to the level of skill required. Well, I am back where I began twenty years ago with Simple Scanning. The difference is that I have an entirely different philosophy about it - a philosophy which I will attempt to describe in this and subsequent posts. As I said in an earlier article, there are two ways of looking at a long “catch-all” list. The first is that you capture everything on your list which you have to do and then use a system to get all of it done. This is what I was trying to do with it all those years ago. And of course I failed. The second is that you capture everything that you might do on your list and then use a system to sift the list so that the viable things on it get done, and the rest are sifted out. If there is a lot which you don’t do then you have succeeded. The basic difference between the two is that with the first what you haven’t done is seen as more important than what you have done. In the second what you have done is seen as more important than what you haven’t done. In other words the reasons for the second put you in a positive, not a negative, light. It’s the task which didn’t pass your selection, rather than you who failed to get the task done. What are the advantages of seeing the list in this way? I’ll answer that question in a later post in the series. Simple Scanning and other systems are extremely thorough and effective methods of processing a long list, but they do tend to fall down when there is an emergency or other unforeseen (or even foreseen) time pressure. What is required is to re-establish a sense of purpose and at the same time to get yourself moving in the right direction. The tool to use here is the Panic List. 2) Take a separate sheet of paper and start to list all the things you have to do before the deadline. Make each action as small as possible. This is an extremely effective way of actioning a lot of stuff in a limited period of time. It will work in any situation in which you have a finite amount of things to do and a limited amount of time in which to do them. Don’t be tempted though to try to use it outside this type of situation. Without the limiting factors you will quickly end up with a very long list which is not being processed efficiently. Thoughts on the Long List - Preliminary - What system to use? Much of the work I have been doing on the subject of the long list has been testing out various long-list systems to see which would be the best for my purposes. Only one system ticks all the above boxes and that is Simple Scanning (scanning round and round the list doing whatever stands out without any formal method of clearing undone tasks). This is a very annoying conclusion for me because I first started using Simple Scanning in 1997 and have spent the past twenty years trying to invent a better system. The reason I did this is because at the time I didn’t understand what it was the best system for. More important than which system you use is that once you’ve chosen one you stick to it. None of my theories about the long list will work if one keeps changing systems. Again this is a very annoying conclusion for me because I could have spent the last twenty years becoming a multi-billionaire and secret ruler of the world. Not too late now perhaps… mwahahaha! My theory is that a properly handled and practised list removes the need for prioritization, goal-setting, planning and deadline-chasing. There is no such thing as procrastination. What we call “procrastination” is just our minds working through the selection process. Since then I’ve been doing an enormous amount of work on this subject, and I’m going to be writing a series of articles on the results. These might become the basis for a book. The first one should be up soon. In the meantime I recommend reading or re-reading the two short articles above to set the scene. In the instructions for Real Autofocus - and many of my other systems - I make reference to doing tasks when they “stand out”. Some people find this quite a difficult concept, and others can’t understand it at all. “Standing out” is what happens when your conscious mind instructs your unconscious mind to identify tasks/items that fit certain criteria. 2. You could scan through the list ticking the places that stand out as places you’d really like to visit. My contention is that as well as being much quicker, you are more likely to end up somewhere you really enjoy visiting if you use Method 2. Of course, method 2 won’t work if you don’t already know at least something about the places in question. But when we’re talking about tasks on your to-do list, you do know something about the tasks. In fact you are the world’s greatest expert about your life and how it all fits together. 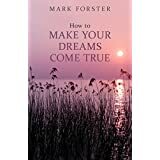 You can trust your unconscious mind to come up with better answers than your conscious mind, just as it it did in the places to visit example. But only if you give it the right instructions. What are the right instructions? Tell your unconscious mind to make tasks stand out that you want to do now. Very important - don’t attempt to tell it what you mean by “want” - that’s something the unconscious mind can identify much better than your conscious mind can. DO of course doesn’t need an instruction because it’s everything left over from DELETE AND DEFER. This method of dealing with a task list is the most effective I have yet found. It is based on simple scanning, that is to say going round and round the list doing tasks as and when they stand out. It gets spread over a large number of pages if you are using a notebook and pencil/pen. So what one ends up with is a huge backlog of tasks, which one doesn’t have a hope of ever clearing. 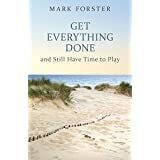 What is needed is a way of getting the list to self-limit in such a way that it focuses on what one can actually do within a couple of days or so. Here’s how it works step-by-step. I’ve assumed you are using paper and pen/pencil, but it is easily adapted to work electronically. Start a new list. Don’t use an existing list.This is very important, otherwise you will overwhelm it before you’ve even started. Add other tasks to the end of the list as needed or as they occur to you throughout the day. Allow the list to build up gradually. Work the list by scanning it, taking action on those tasks that feel ready to be worked on. When you’ve worked enough on a task. cross it out. If it’s unfinished, re-write it at the end of the list. Do the same with tasks that will recur the same day or the next day. When you finish for the day draw a short horizontal line in the margin immediately after the last task on the list. Starting from the beginning of the list work as in rules 2-5 for the First Day. Extend the first of the two short line end-of-day markers (see rule 5) so that it goes right across the page. When you reach the end of the list, go back to the beginning of the list. Continue working the rest of the list as in rules 2-5 for the first day. IN SUMMARY, at the beginning of each day you work on yesterday’s tasks in the normal way, followed by today’s tasks. Then you clear ALL tasks remaining from the day before yesterday (DELETE, DEFER or DO). Once you’ve done that you carry on working yesterday and today’s tasks as normal. Using this myself I was surprised how few tasks I needed to delete or defer. The list seemed to conform almost automatically to the amount of time I had available. I’ll be interested to know if it works that way for you too. I think I’ve proved to myself that this method really does work. Bear in mind that I was trying to find a way of processing a “catch-all” list without ending up with a huge number of tasks spread over many pages of notebook. Well, have look at these results after nine days of using my new method. The first column is the page number, and the second is the number of tasks remaining on that page. There are 31 tasks to the page. I’ve been working on about 70 tasks a day, and the number of tasks on the list has remained pretty well constant at 40-45. Futhermore the list, far from spreading over more and more pages, has compacted itself down to only three pages. 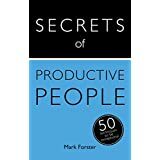 I should mention too that the seven tasks on p. 19 are all once-a-day-only tasks waiting for tomorrow.